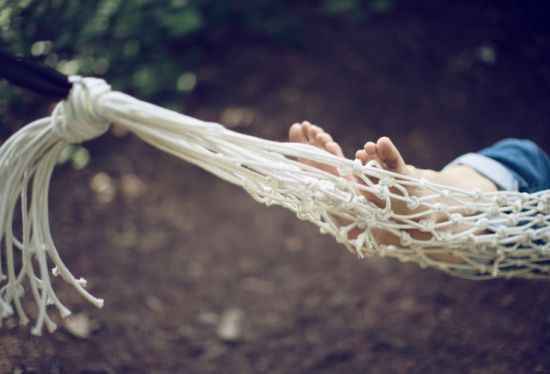 Relaxing outdoors is a great way to spend a lazy weekend or to just enjoy a peaceful nap. There’s nothing better than swaying in the breeze, enjoying your favorite book, and dozing in the sunshine. 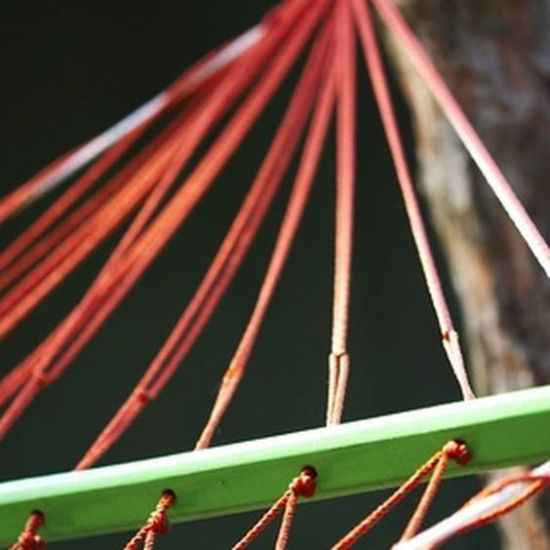 If you don’t already have your own hammock, then a great idea is to look at these ways to make DIY hammocks to use for total relaxation. 1. 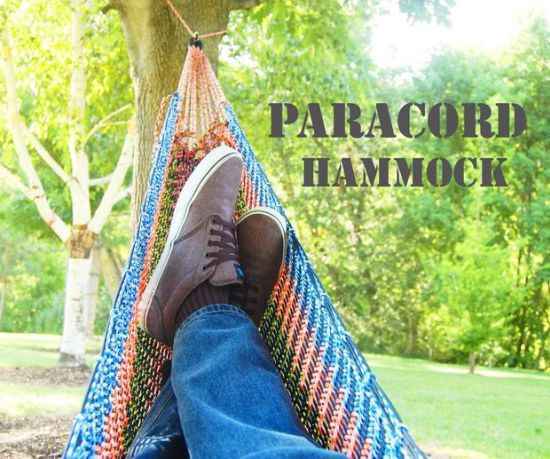 A hammock is a great for relaxing outdoors and is not difficult to make using paracord. 2. Are you looking for a fun DIY project to make with duct tape? Try making a duct tape hammock. 3. 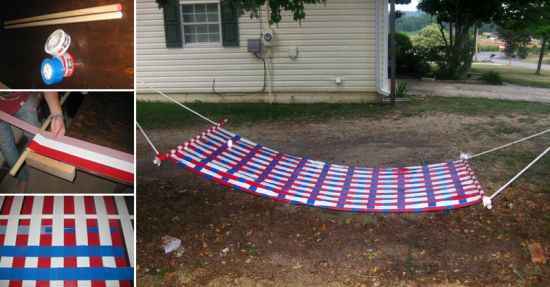 Reuse bed sheets to make a DIY hammock to use in your backyard. 4. Here is a tutorial for how to make the most relaxing crochet hammock. 5. 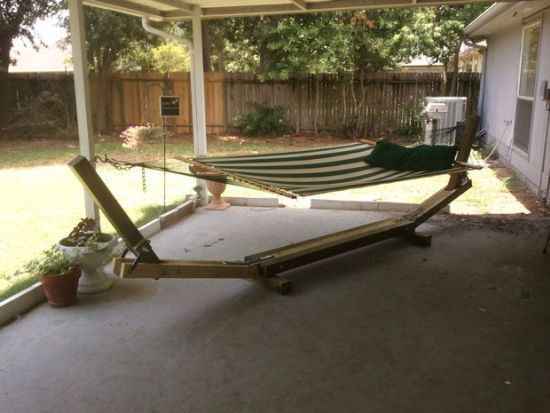 This hammock stand is easy to make if you do not have any trees available. 6. 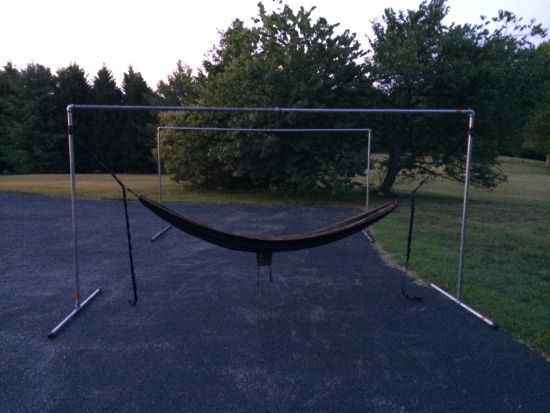 You cam even make a free-standing hammock stand that is portable. This is perfect to use in any backyard. 7. 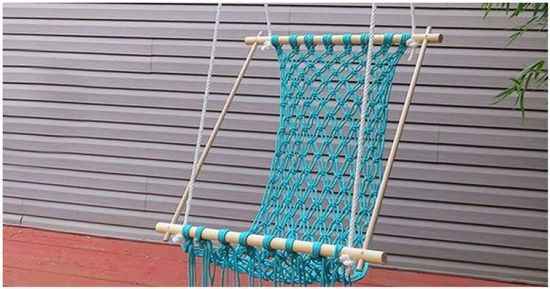 Make a simple hammock by repurposing old rope you have laying around. 8. 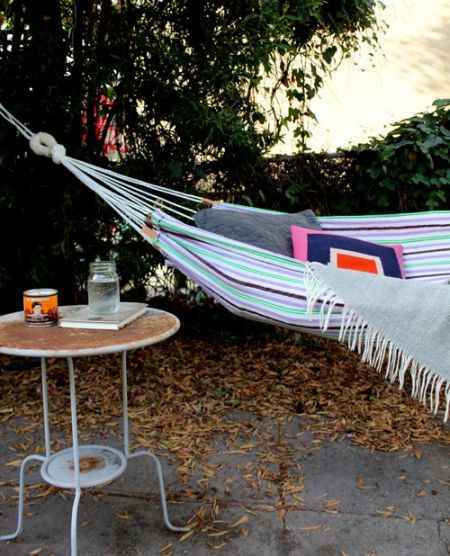 How about upcycling a table cloth into a homemade hammock? 9. 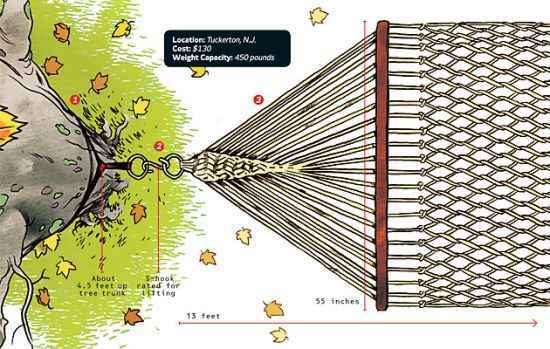 This is a great tutorial for how to hang a hammock outdoors using trees as a hammock stand. 10. 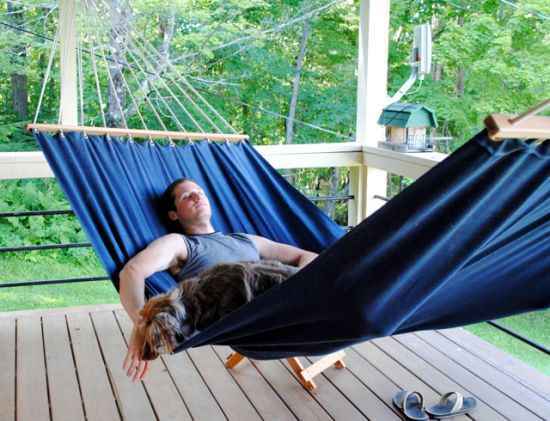 A simple summer hammock is easy to make and a great way to relax outdoors. 11. A few old pipes can be used to make a DIY hammock stand. 12. 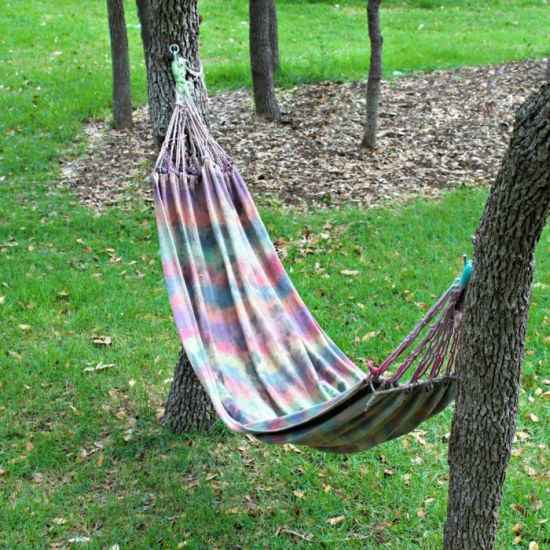 Would you be interested in relaxing in your own tie dyed hammock? 13. 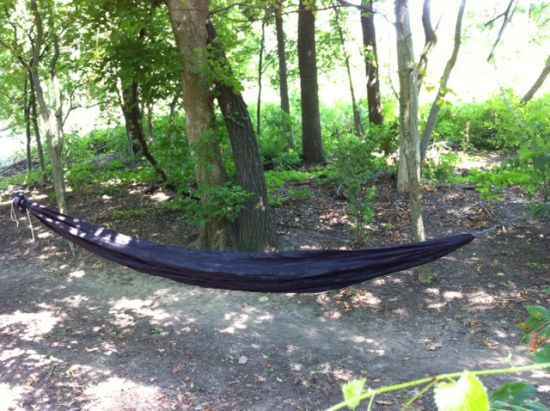 Here is a tutorial for how to make a hammock by using nylon rope. 14. 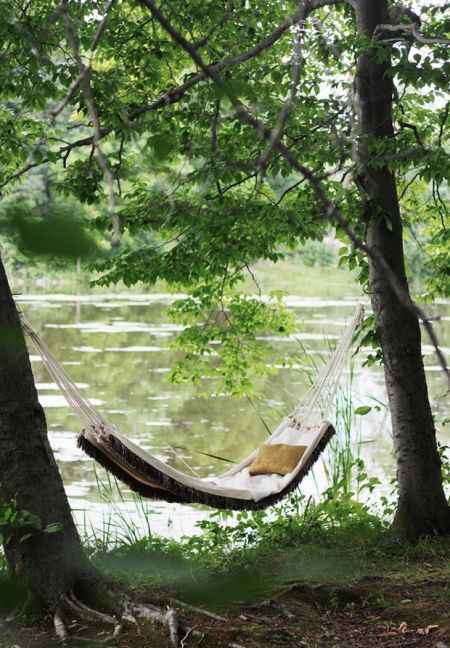 This could be a perfect lazy day hammock to use at home. 15. 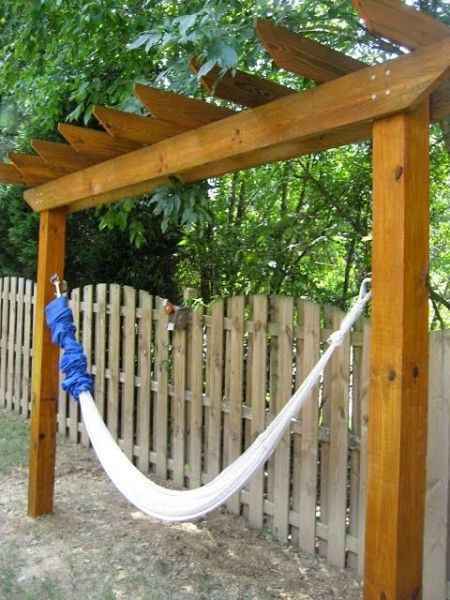 Reuse one side of a pergola as a DIY hammock stand. 16. 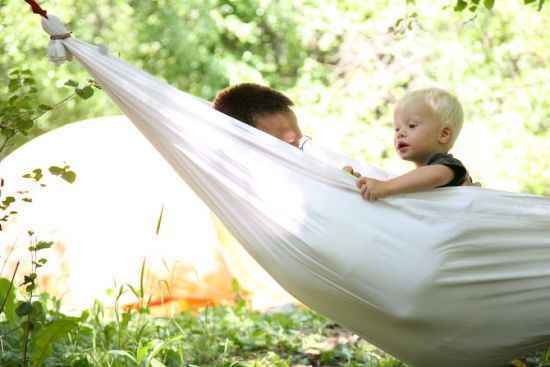 These are super simple instructions to use for making a homemade hammock. 17. 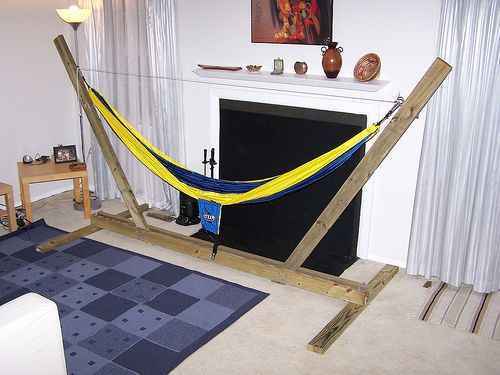 Do you prefer step-b-step instructions for making a DIY hammock? 18. 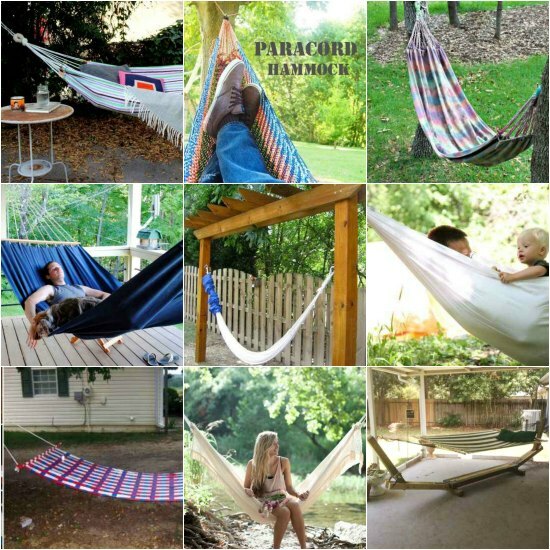 Are you looking for a hammock stand that you can use indoors and outdoors?